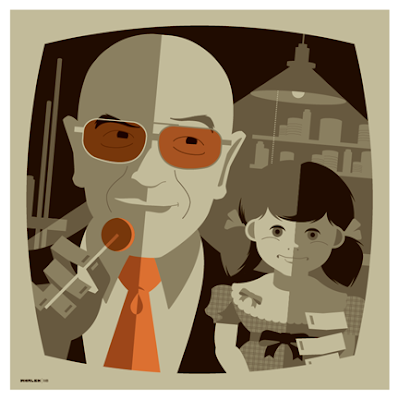 aaaaaand for all of the telly savalas fans out there, here's the third and final print in my series for gallery 1988's upcoming another dimension twilight zone tribute show. who loves ya, baby? here are the other two in in the series, kirk and penguin. "you are about to enter another dimension, a dimension not only of sight and sound but of mind. a journey into a wondrous land of imagination. next stop, the twilight zone."